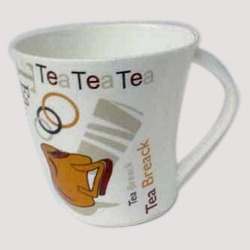 We offer a comprehensive line of Promotional Bone China Mugs manufactured from quality Bone China. 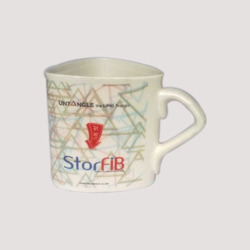 These fine bone china mugs are used across various corporate offices, educational institutions, academies, schools, colleges and other organizations for advertisement & brand promotion or also for gifting purposes on special occasions. The bone china mugs comprise of company's name, logo or other relevant details as per the specifications received from the clients. 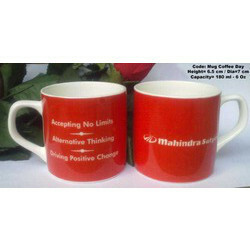 Available in multiple sizes, contrasting color combinations, prints & other specifics, our most innovative range of promotional bone china mugs have been widely considered as real Café Art and comprise of corporate bone china mugs, bone china coffee mugs, fine bone china mugs, printed bone china mugs, oval coffee mugs, custom bone china mugs, personalized bone china mugs and promotional advertising mugs. We are looking for bulk queries. 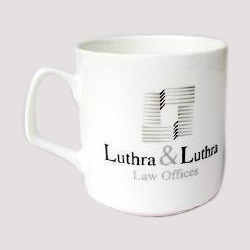 We offer our liberty bone china coffee mugs that are designed as per the client's specifications. 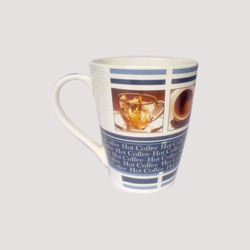 These bone china coffee mugs are decorated with company's name, logo and other relevant details and thus are used for promotional and advertising as well as for gifting purposes. 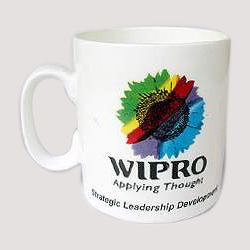 Available in variety of colors and sizes, similar mugs can be availed by other organizations with their specific details imprinted on them. 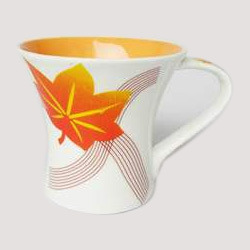 These designer corporate bone china mugs are manufactured using premium quality bone china. 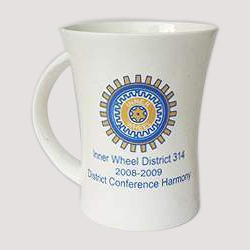 The corporate bone china mugs can also be customized with company's name , logo/icon and other details or one liners as per client's requirements. Available in variety of colors and sizes, these are best suited for gifting purposes. Quality Microwave safe / Dishwasher safe and scratch proof.